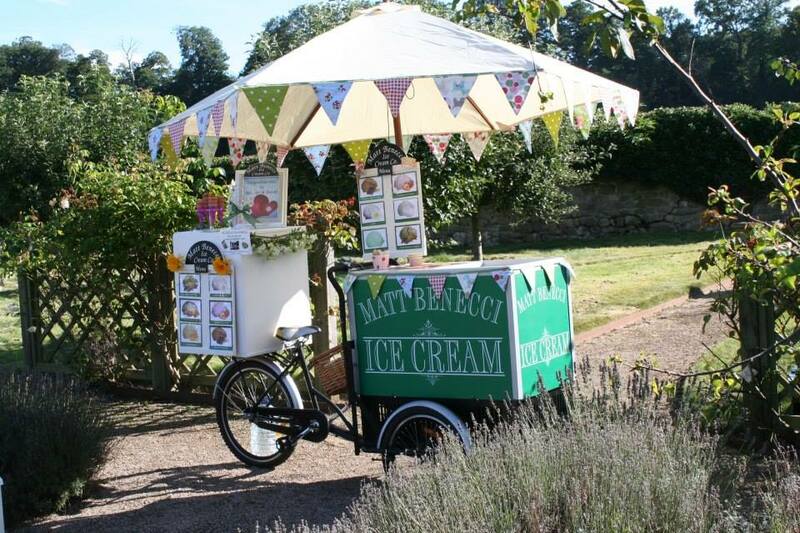 Hire a Benecci Ice Cream Bike for your special day and be assured of a unique attraction for you and your guests to enjoy. 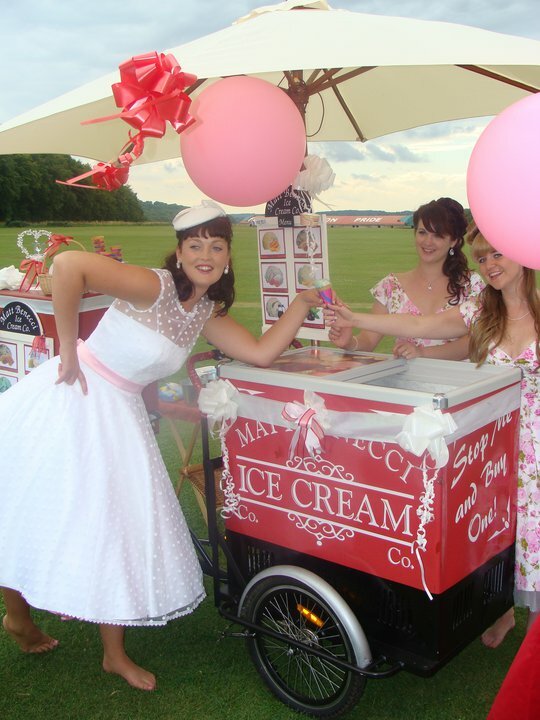 Treat your guests to one of our delicious Ice Creams or Sorbets chosen from our range of superb flavours. Whether young or old, your guests will find a flavour to love. 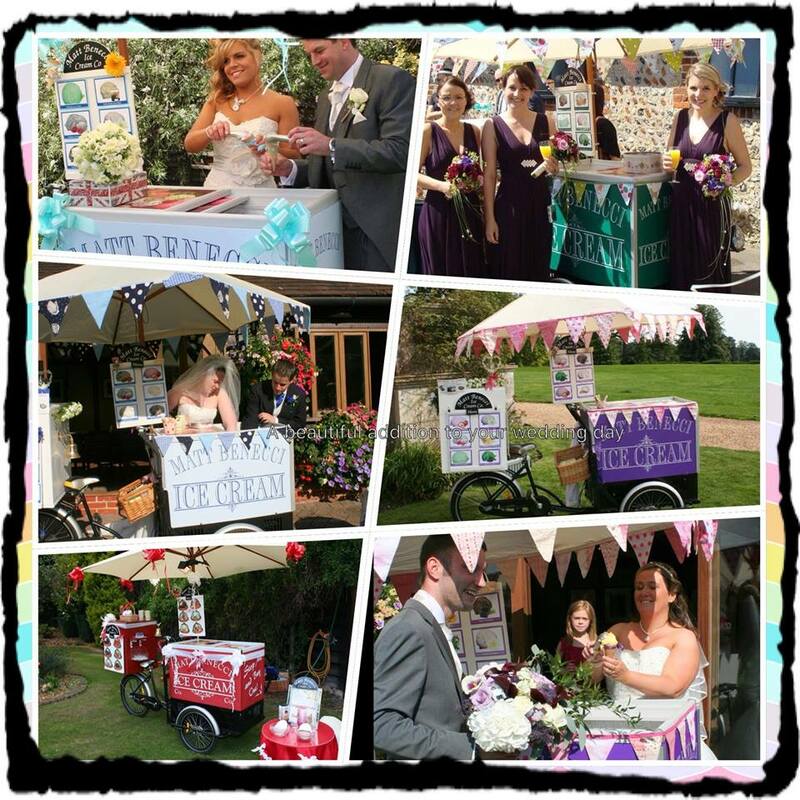 What better wedding gift than a beautifully decorated ice cream bike to serve your guests delicious ice cream? 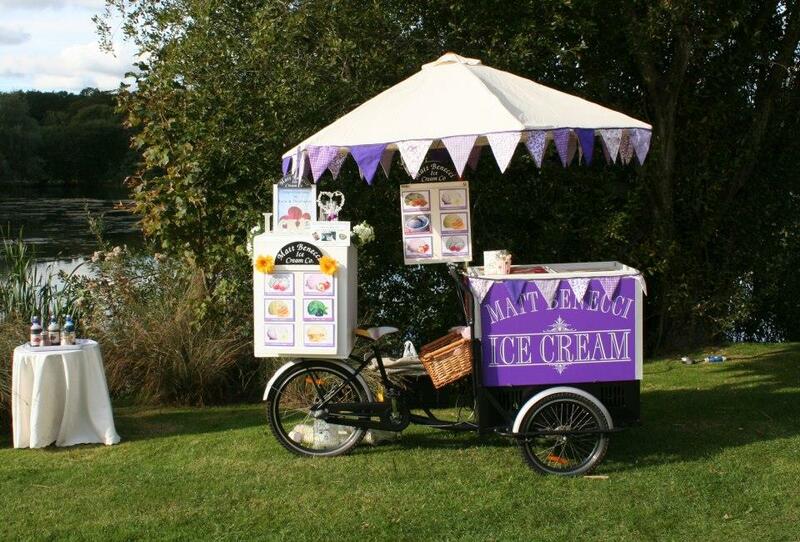 Our icecream bikes run cleanly and silently unlike an ice cream van noisily spewing diesel at your special event. 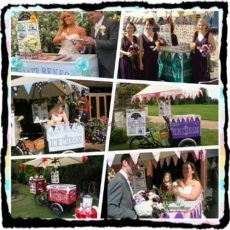 The icecream tricycles can even serve your guests indoors should the weather be poor. 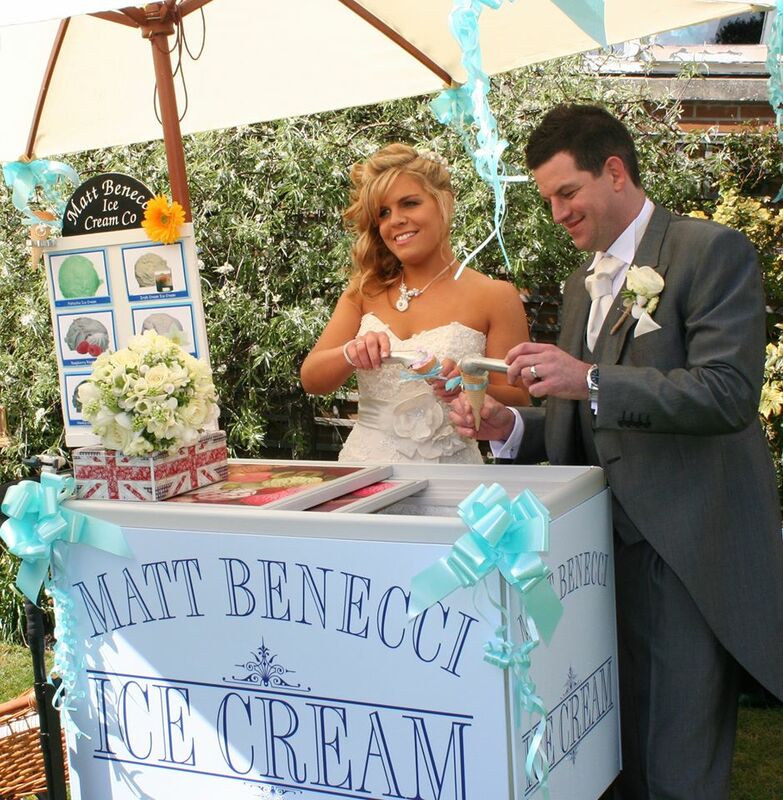 The bride & groom will have their own special decorated cones, while your guests can choose either a waffle cone or a pretty tub & spoon to eat their ice cream from.